The kids walked home every day from school. Conveniently located, school wasn’t too far from our house. They never complained and time flew by because their friends walked alongside them. But this day was different. The air was heavy and muggy. Atypical for the clear and sunny beach city days. What looked like rainclouds covered the sky. Rain wasn’t in the forecast. No one had any warning. The kids didn’t have umbrellas. They were not prepared. Neither was I. Unannounced, the storm took everyone by surprise. It started to sprinkle. Then, like a blast, it became an intense, continuous downpour. 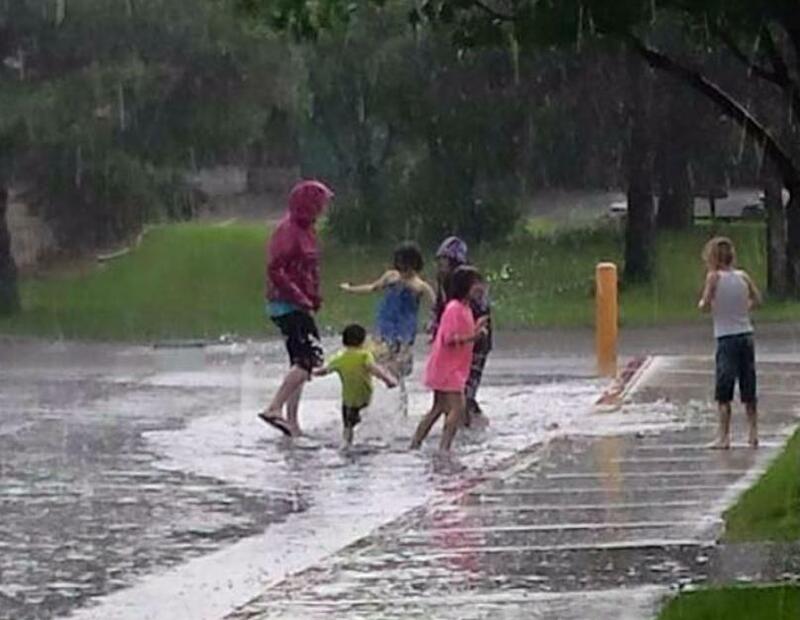 The rain came down so fast and hard… I just knew the kids first reaction would be to not give up and run back home. Sure enough, they came bolting through the door. Drenched and dripping from head to toe. They were out of breath and trembling. Stripping off their sopping clothes was the first thing they did. And they couldn’t wait to wrap themselves in an oversized, big fluffy towel to dry off. Later that dark and dreary night, it was still raining outside. The kids were so thankful that they were inside. Forgive Us Father that We the Church allow rainclouds of doubt and fear to cover our normally clear and sunny thoughts. So We end up wearing a muggy and heavy countenance. But doubt and fear are not in the forecast for Our futures. Forgive Us Father that We the Church allow time to fly by when friends or family that used to walk alongside Us; no longer do. Sometimes they were hit with a storm and are still in it. We typically want to strip Ourselves from them to avoid their sopping mess. Forgive Us Father that We the Church can have an unannounced storm blast into Our lives. In fact, it can take Us by surprise. It can hit fast and hard. And sometimes Our reaction is to want to run. Far from it. Instead of back home; to You. Maybe We forgot that This Day is Different. And that We as born again Christians are atypical. We get to bolt through His door of grace, mercy and forgiveness. Hurricane Harvey recovery efforts. Search and Rescue stage is ending. Gutting and tear down stage has begun. Street after street is lined with piles of ruined things. The homes stand as gutted shells. Pray the Holy Spirit fills these survivors with the spirit of Supernatural Thanksgiving and Comfort. He will deliver and provide. He always does. Continue to pray for the many millions affected by this storm. Pray that Christian survivors will rise up and give testimony of His saving grace and mercy. Just like they did in Texas. Expect and pray for massive revival. Plus they need volunteers NOW. Our military. Our Congress. Our Senate. Our President. They all have HUGE responsibility to handle VERY serious things. Pray they continue to seek the Face of Our Almighty God in EVERY decision. We need a National Day of Repentance!!! Go to (www.dayofrepentance1.org/) a dear friend of ours here in CA who writes regarding this need for our nation.